1. I said YES! Can't wait to be in one of my one of best friend's wedding on the Cape in September. Could the package be any cuter? 2. I quickly went through a large sample of this primer after a rec from a friend. It's AMAZING and best of all formulated without all the nasty stuff (parabens). 3. Valentine's Day pressies! 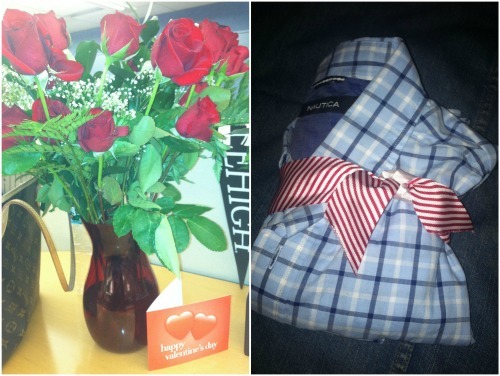 Two dozen roses definitely cheered up my boring desk. They didn't arrive until almost 4PM, so I had given up hope at that point. Teddy asked if I had received a package literally just as the mailman was walking across the floor toward my desk. 4. 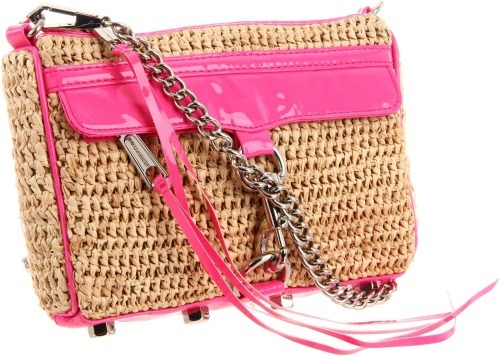 I can't even begin to tell you how much I want this clutch from Shopbop for summer! It would pair perfectly with Lilly, don't you think? 5. Moving on to the next holiday. This adorable stand is now sold out online, but you can probably find in stores. I bought one for my mom to add another tier on her glass cake stand. Mini carrot cupcakes?! Omg GIMME that clutch!!! Adorbs!!! 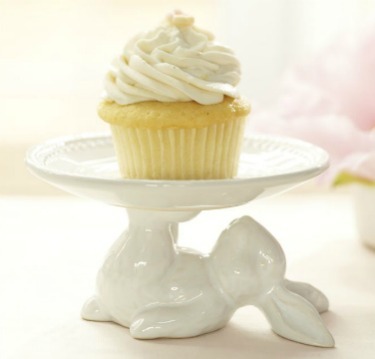 Love that bunny stand...it reminds me of a dear friend, BUT that pocketbook is to.die.for! 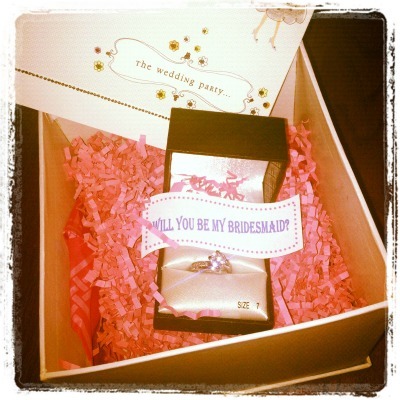 Your roses were gorgi and your gal pal's package to be in her wedding~totally cutie!!! I thought you got engaged- you trickster! Oh my goodness...that little bunny plate is amazing! I'm going to have to get to our local PB stat! I just found your blog, and am now a follower! That cake stand is so cute, and I love how your friend asked you to be in her wedding. Happy Friday! What an adorable way to as you to bridesmaid! Love it! That is the sweetest note from your friend. How thoughtful. It's always fun to be in a wedding. Especially on the Cape. That cupcake stand is so cute! I'm going to be a bridesmaid for a wedding this August and I'm so excited! I'm in love with the cupcake stand, too cute! You'll have so much fun being a bridesmaid & the Cape wedding sounds fabulous. what a cute bridesmaid package. Fun idea!